Over the course of the past 7 months, I have had the distinct pleasure of leading a group of women in the erudition of how to use the Beatitudes as a guide to change our personal characters. Jesus preached the Sermon on the Mount to teach how to be closer to God, be more like God, and to live a Christ-like life. When Jesus presented the Beatitudes, we know that He did not just create a list of positive characteristics that we should emulate. 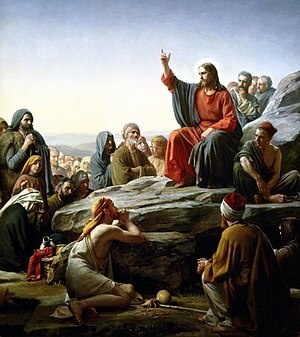 The attributes contained in The Sermon on the Mount are what people who follow Jesus are. They are divine attributes that when examined, we discover that perhaps we must reflect the first before we can attempt the second attribute, and so on. We continuously build upon the previous attributes to acquire the next and with God’s help,create a soul that is as close to God as we can possibly become. Though The Beatitudes are designed for every Christian to strive for, I thought it might bear fruit for pastors’ wives to take the time to reflect on these qualities. We can attempt to not only develop our closer relationship to God, but help those in our congregations to do the same through aquiring the Beatitudes. Please help me in the coming weeks, as I begin this series of messages, to soul search and identify who we are and to strive together as we attempt to become whom Christ identified as blessed.